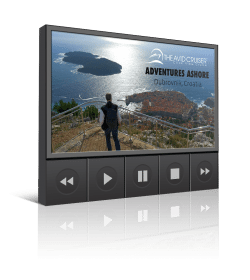 You are here: Home / Cruise Reviews / NCL’s New Epic: Big And Boxy On The Outside; Busy And Noisy Inside, Will You Love It Or Leave It? 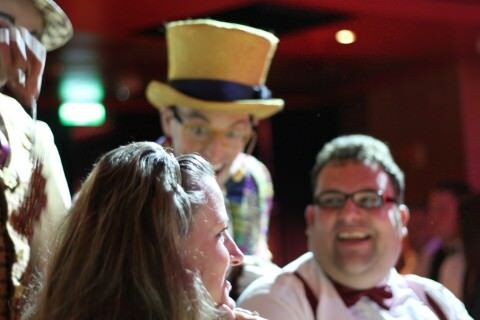 On June 22, I boarded Norwegian Epic for inaugural ceremonies in Europe. First impressions? 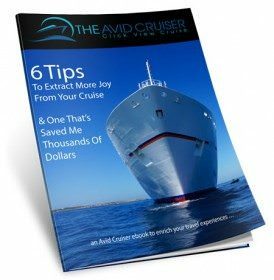 Read The Avid Cruiser’s full report below. It’s big and boxy on the outside, busy and noisy on the inside. 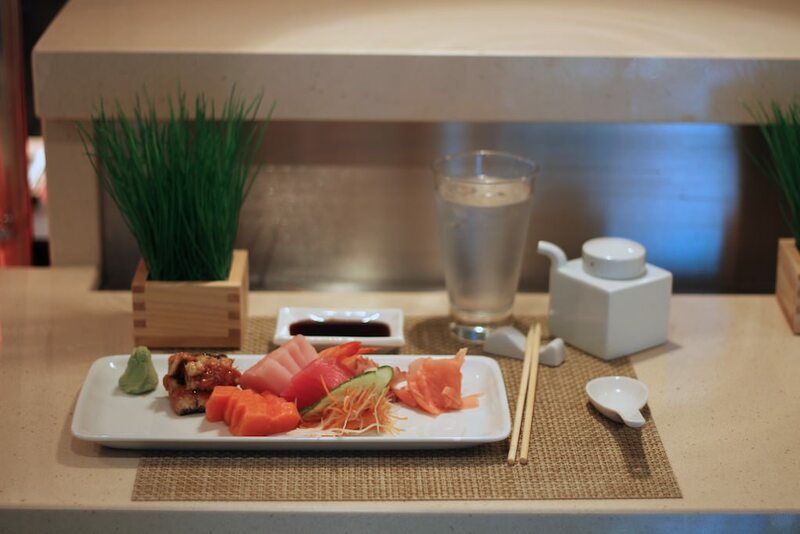 With 20 dining options and 20 bars and lounges, NCL Epic features industry-first solo traveler cabins and innovative balcony staterooms, plus a lot more. Will you love it or leave it? As our motorcoach approached the Southampton docks, I braced myself. Before me was a vessel that looked nearly as much like a container ship as it did a cruise ship. In the glow of a Southampton sunset, Norwegian Epic’s towering exterior appeared odd, with a flat aft and a Lego-like forward section, unlike any ship I had ever seen. I was part of a press group invited to see Epic before it set sail across the Atlantic to America, where she will be christened by country music star Reba McEntire before entering service in the Caribbean. Epic returns to Europe for the summer of 2011. Indeed, many of the travel agents who I am in contact with say they steer clear of NCL. The product just hasn’t been consistent enough for them to sell with confidence. My question before boarding Epic was whether the ship would, in fact, redefine NCL. I harbored hopes that it would. At first glance, however, I had my doubts about Epic. Entering the ship did little to ease my doubts. Big and boxy on the outside, Epic was busy and noisy on the inside. 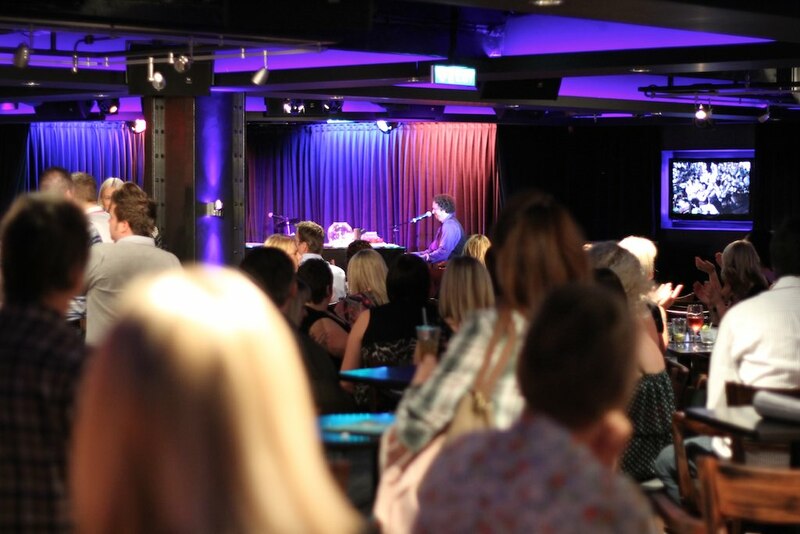 Even with half of the full passenger complement, fewer than 2,500 press and travel agents, NCL’s public areas were densely peopled, the bars and restaurants crowded. There was no place devoid of decibels. I was ready to give up hope. But hold on, I thought to myself, I am a professional. Make an objective assessment. I had just come off of Crystal Symphony, carrying slightly more than 900 passengers. Epic could top out at more than 4,600. I had to remember that I was going from a vessel in the luxury segment, with a much higher price point, to a vessel in the contemporary or mass market segment. Add to that that this was not a regular sailing but rather an introduction of Epic to travel agents and press. Three successive thoughts help me temper my initial culture-shock about Epic: 1) British travel agents on something like a holiday, 2) only two nights to party, 3) and this one is important, open bar. 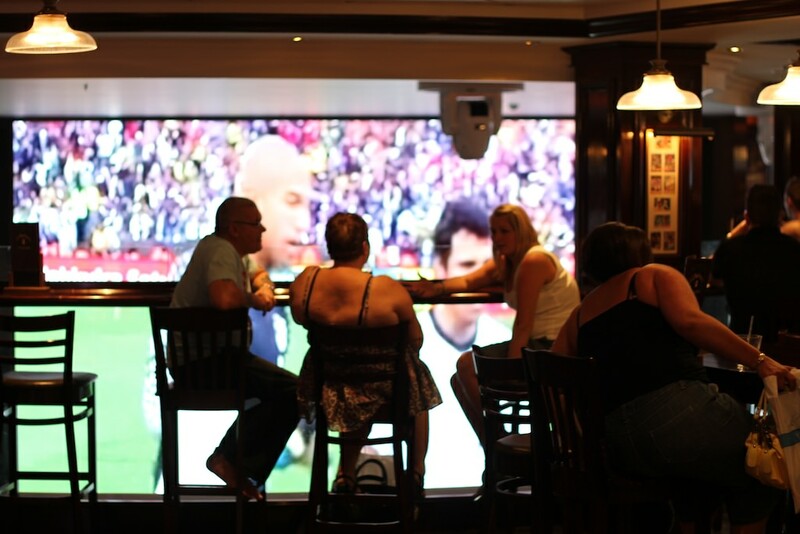 Oh, and England was competing in the World Cup on a large-screen television. You get the picture. 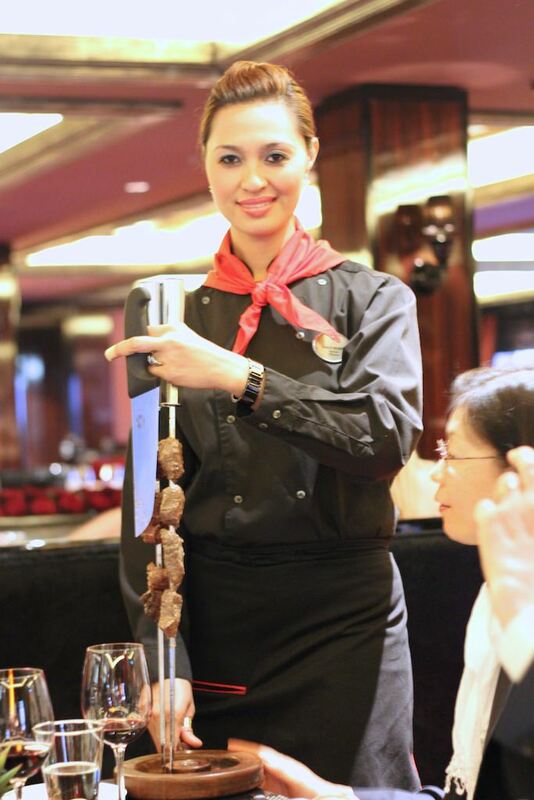 Several hours late boarding (due to Epic’s late arrival in Southampton), I was paraded directly to my stateroom to drop my luggage then to the Argentine-inspired Moderno Churrascaria, which shares space with Cagney’s Steakhouse. The presentation of meat carved at the table was well done, and the food was good. After a quick dinner, our group proceeded to the Manhattan Room for entertainment by Madonna, Elvis and Tina Turner look-alikes, and desserts. Again, great entertainment; tasty sweets. Marching again, we headed to the upper decks to Spice H2O for a FABBA performance, where high-energy performers entertained us with ABBA favorites. After four hours of nonstop entertainment, my ears were buzzing when I returned to my room after midnight. I was unable to immediately assess whether I liked my stateroom or not. 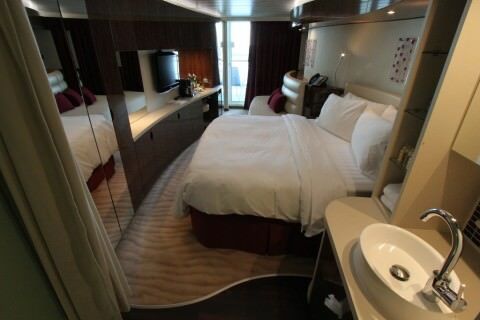 As has been widely publicized, Epic’s staterooms are more curvy than boxy. The bathroom configuration turned out to be a point of controversy. Some loved it; some hated it. The toilet is in an enclosed capsule on one side as you enter the room, the shower is in an enclosed capsule on the other side, and the sink is close enough to the bed that I could have brushed my teeth with my head on my pillow. The bed, though wide enough, missed accommodating the length of my body by about half a foot, and thus, I slept sideways. I appreciated the large, flat-screen television, the coffee-maker and the roomy balcony. Also, in a nod to environmental conservation, the stateroom keycard must be inserted into a slot to activate the light switches in the room. Kudos to NCL for that. 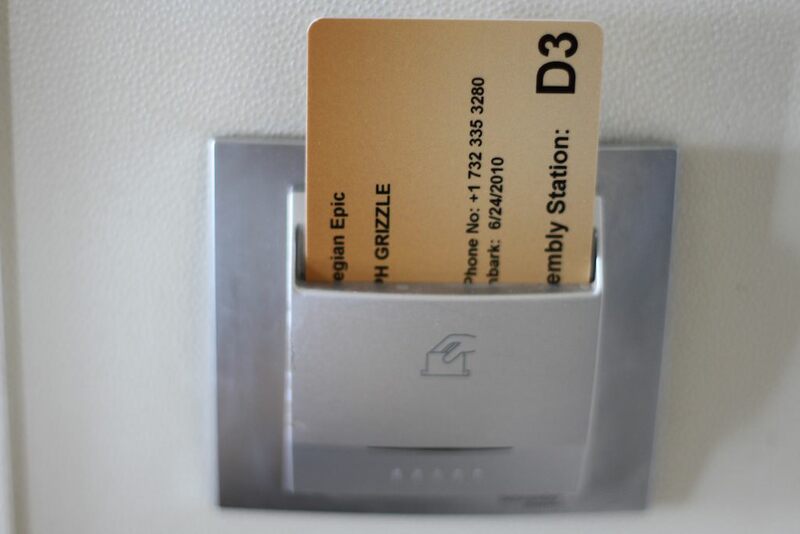 Similar to rooms at European hotel, keycards power the room. The next morning, NCL’s publicist told me that tonight we would experience sensory overload. “I thought that was last night,” I jokingly replied. The on-board ambience is intended to be busy and buzzing, NCL execs say. With 20 bars and lounges and an equal number (or possibly more – it’s difficult to keep count) dining options, Epic clearly follows in the wake of Oasis as an entertainment extravaganza. On a weeklong cruise on either ship, I think I would miss the close connection with the sea. 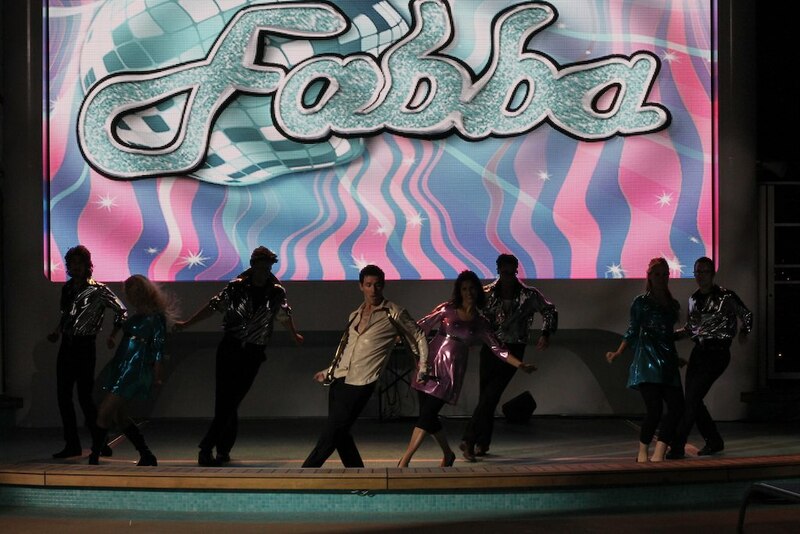 Epic is more like Vegas than it is a cruise ship. However, that said, Epic grew on me during the 36 hours I was on board. The Blue Man Group put on one of the best shows I’ve ever seen, at sea or otherwise. And there is nothing at sea like the Cirque Dreams & Dinner, which featured a Broadway-style show and acrobatics. Cirque’s meat and potatoes dinner was a bit heavy, so I skipped it and hit the Wasabi sushi bar after the show. NCL says that upscale cruisers would be happy in Epic’s Courtyard villas, which were not completed during our brief inspection. Perhaps, but it wouldn’t be my first choice as a luxury cruiser. Of course, I am one who is happier looking out at the sea than I am watching high-energy performances. With my children, however, there’s no doubt that Epic would be a hit. Is this the ship that will launch the new NCL? I’m not sure. What is certain is that the new ship certainly represents an epic moment in NCL’s 40-year history. Have something to say about this review or Norwegian Epic? Please share by leaving a comment below. It is cabin 14051. Studios, as far as I know, are all inside. Excellent article. Our family is sailing on the Epic on July 17. Tony, you and your family will enjoy it I am sure. If you think about it, report back! Just finished the two-day introcruise states-wise and what you say is true about Epic, except for the Spiegel Tent, which was a “disaster” according to those who attended the show. And the noise level was over the top–NYC was quieter than the ship. Also, the prevalence of cigarette smoking, especially on the balconies waffling into neighboring staterooms.! But what made the Epic truly outstanding was the congeniality and helpfulness of the hotel staff. Truly they stood out, at least on this ship, vs the rest of the mainstream cruise lines. I am tall – 6’5″. We were thinking of going on the Epic for Christmas with our children and grandchildren I know they will love it but im a little concerned about us. it sounds as though its a very smoky ship and the staterooms are not exactly what were use to. Do you think a better choice would be NCL Pearl? I think Epic could be good with kids. The upper deck pool area is fun, and so is the Blue Man group. Look for better stateroom configurations, such as booking the kids in a separate room. Remember, you want an experience you’ll remember and enjoy. It’s worth paying a little extra. Let me know what you decide. I’m interested. The kids are definitly going into a different cabin, but my concern is if you think its a wise choice for seniors? For seniors, you might be happier with Holland America Line or Celebrity, but it’s a delicate balance with kids. My kids enjoy Holland America Line. I sailed on the epic to the Caribbean July31st-Aug7th and was anything but impressed. Definitely not an Epic adventure, in fact it couldn’t have been more Epicless. Most of the food was bad, and the staff was rude at best. I will never book NCL again. I’m an avid cruiser (Epic was my 24th cruise), and this is not my idea of a cruise vacation at all. We had a really good time on the Epic, the food was excellent, and we are used to good quality food. We encountered smoke on a few occasions in the gambling area, but it was not terribly strong or wide spread; there were a number of air purifiers standing on the floor, so that might explain the reduction in smoke levels as compared to some previous comments. The entertainment was great and there was so much of it that it we didn’t manage to see it all, maybe next time. The Mayan ruins near Costa Maya, the zipline and snorkeling in Roatan and again the snorkeling in Cozumel were all very worthwhile. The disembarkation and embarkation in each port was very quick, although Miami could have been better organized. All in all it was a great trip even if there were a very few quibbles. Epic’s decor is out of this world – the staterooms were designed by somebody from another planet! They let the ship down, disappointing. Don’t book a balcony stateroom or inside one if you’re a slightly large or tall person – you will not fit! If you suffer from claustrophobia that’s another reason not to book the Epic. No thought was given to public swimming areas or the pool – they’re far too small! I believe NCL are being greedy by manufacturing the Epic – cram them in like a tin of sardines and watch the dollars come in. Come on NCL get your act together and offer what’s expected when you rake the money in. Give a bit of thought to the people who are your bread and butter. On the other side of the coin, food was nice, service was acceptable though could do with a few tweaks. Cabin staff were wonderful, very nice to meet and speak to, very friendly and always remembered your name. Epic is extremely noisy – ok if your deaf though. Not ideal if you’re looking for a nice relaxing time – you won’t get it! NCL need to go back to the drawing room, let’s hope they don’t produce a sister ship without putting their brain in gear first. Come back NCL Dawn, all is forgiven! !